Who Invented Home Video Games? If you ever wondered who invented home video games, wonder no more! Enslow Publishers celebrates the life and creations of Ralph Baer, the creator of the first home video game system, with a new book: Who Invented Home Video Games? Ralph Baer from our "I Like Inventors" series. Written with young readers in mind, this new book is filled with color photographs, an activity, and high-interest writing. Most children are crazy about video games, so this book is perfect for engaging new readers. Who Invented Home Video Games? 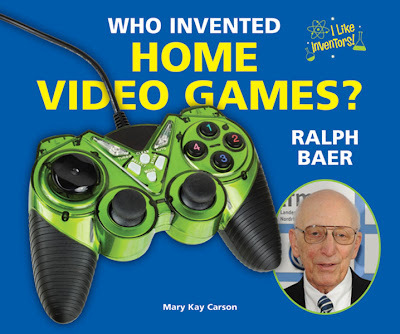 Ralph Baer is a simply written biography about Ralph Baer, the inventor of the earliest home video games. The book is filled with fun and engaging facts about Baer and his creations (Did you know that Baer also invented Simon, the pattern matching game from the 70s and 80s?) which K-3 readers will appreciate. A full index, links, a "learn more" section, and an activity are also included. "Laissez Les Bon Temps Rouler!" with Enslow's "Paper Crafts for Mardi Gras"
Mardi Gras offers an excellent opportunity for young readers to explore the holiday's excitement and meaning. The day's vibrant, colorful masks, costumes, and floats provide an imaginative treasure for children to enjoy. Tapping into that reservoir of images and culture is Enslow Publishers' Paper Crafts for Mardi Gras book. Author and storyteller Randel McGee's book is written in simple language, with step-by-step instructions and photos illustrating each craft project. These easy-to-follow activities allow readers to enjoy a "hands-on" activity that builds understanding and fun associations with New Orleans' famous holiday. As the saying goes, "Laissez les bon temps rouler" when you use this wonderful 48-page, full-color book. This title, part of Enslow's "Paper Craft Fun for Holidays" series, is available in paperback for $7.95 from Enslow Classroom. A library-bound version is also available to school and library institutional buyers for $17.95 when buying directly from Enslow. The library-bound price represents a 25% discount from Enslow's list price for this item. Ever been to Mount Rushmore? One of Enslow's newest preschool series is called All About American Symbols, and one of the titles is called Mount Rushmore. Available in a library version, this title contains a photograph of some scaffolding around the face of Abraham Lincoln. Other titles in this series include The American Flag, The Bald Eagle, The Liberty Bell, The Statue of Liberty, and The White House. Today, we'd like to share with you this creative animated video "Prepare for the Science Fair" by Kevin Temmer that teachers might like to share with students for a great overview of the scientific method. Let us know if you enjoyed it as much as we did. A full listing of Enslow's science fair titles can be found here. We are looking for a few great people to review our Paper Craft Fun for Holiday series. Just in time for Presidents' Day, Mardi Gras, St. Patrick's Day, and Easter, these paper craft books bring fun to the holidays! They are written by internationally known storyteller, Randel McGee who creates amazing crafts out of paper. Written in simple language, each book contains a short introduction to the holiday and step-by-step instructions with photos illustrating each step. They are recommended for grades 3–4 and support the Social Studies, History, and Art curricula. If you think you might be interested in writing a review for any of these titles, please email us today at customerservice@enslow.com for details! While many of us are caught up in Valentine's Day activities, today also happens to be Ferris Wheel Day. The inventor of the eponymous machine, John Ferris, is the subject of a pair of engaging Enslow biographies. Ferris Wheel: George Ferris and His Amazing Invention provides an age-appropriate, well-written narrative about the American engineer and inventor. Author Dani Sneed's 48-page book delves into the genesis of the invention and its debut at the Chicago world's fair of 1893. The work includes period illustrations, color photographs, and other useful background information. This useful title, part of Enslow's "Genius At Work! Great Inventor Biogrpahies" series, is a suitable choice for grade 3-4 interest levels. Sneed's AR 4.5-book is available in a library-bound edition for $16.95; the price represents a 25% institutional discount from Enslow's list price. Meanwhile, for K-3 readers, Enslow's Who Invented the Ferris Wheel? George Ferris will fill the bill. Author Sara L. Latta's skillfully prepared text is enhanced with thoughtfully chosen illustrations that enable young readers to grasp the essentials of Ferris' life story and professional accomplishments. The book, part of Enslow's "I Like Inventors" series, also includes directions on how to create a miniature ferris wheel! Library-bound copies of this new, 24-page item are available now from Enslow Publishers for $15.95 -- that's a 25% discount from Enslow's school/library price. Stories in American History, Enslow's new series for middle school students, available in both library and paperback editions,includes titles about the Amazing Underground Railroad, California Gold Rush, Incredible Transcontinental Railroad, Legend of the Alamo, Secret of the Manhattan Project, and Surviving the Oregon Trail. Great for reports or research, these titles contain timelines, chapter notes, a further reading list, Internet addresses, and an index. This recent New York Times article about a new series, "Full Metal Jousting" on the History Channel caught our attention this week. Jousting? For real? The premise of the show is to take 16 men who have never jousted competitively before and teach them the sport. Viewers can then watch to see who survives the elimination bouts until just one champion is crowned. The series will premiere this Sunday, February 12 at 10/9c. It might be fun to watch just to find out what it takes to be a great jouster. The reason the article caught our eye is because we recently published Sweaty Suits of Armor written by Chana Stiefel and illustrated by Gerald Kelley from our Ye Yucky Middle Ages series. With swords, seiges, and heavy armor suits, life was risky business for a knight. In a joust, two mounted knights dueled against each other with lances. They tried to knock each other off their saddles and would receive points for shattering their lance against their opponent's shields. When their lances were broken, knights battled each other with swords, axes, or maces. You can watch a preview of the "Full Metal Jousting" series here. Find a jousting competition near you here. Pets come in all shapes, sizes, and species. Enslow's new series "Far-Out and Unusual Pets" offers a fun, informative look at some decidedly unique animals that people adopt as pets. Each title focuses on exotic creatures, their natural habitat, and their suitability for domestic life. The animals considered in this six-book series form are certain to catch a young reader's attention. The subjects range from tropical snakes to charming miniature horses. One popular title -- Hairless Dogs -- discusses the history of these canines and explains the special care they require. The series' authors -- Alvin and Virginia Silverstein and Laura Silverstein Nunn -- bring decades of sound, appealing science writing experience. Each title also comes with plenty of color photographs, adding another "way in" for young readers to enjoy their book. For further reference, each book includes a further reading section and selected Internet links. These 48-page, library-bound books are available directly from Enslow Publishers to schools and libraries for $17.95 per book -- a 25% discount from Enslow's list price for these titles! Granted, it's been a mild winter (so far) here in the Northeast, and we have to be grateful for that. Read through some of our lastest Enslow Elementary books and you will probably learn new things. Did you know that coquinas are those seashells that look like butterflies when they are open? I've seen coquinas over the years, but never knew what they were called. Also, I really like the lightening whelk. They are beautiful. 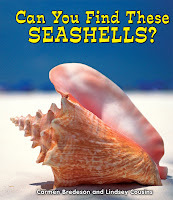 Having gone to the Jersey shore, as well as parts of Cape Cod as a child, I can remember walking the beaches looking for seashells and sand dollars with my family. We would have contests to see who could find the prettiest and most intact shells. Enslow Elementary's All About Nature series contains seven titles that are great for early readers. Each title starts with Can You Find and discusses a different subject. Birds, bugs, butterflies, flowers, rocks, seashells, and trees are all available as separate library-bound titles, and were written by Carmen Bredeson and Lindsey Cousins. Congratulations to Vickie from Dutton Elementary School in Dutton, Alabama for winning our monthly raffle for $100 in free books! Who will you be rooting for on Super Bowl Sunday? Today is Groundhog Day and Punxsutawney Phil saw his shadow which means six more weeks of winter! Had he not seen his shadow it would have meant an early spring. This year is Phil's 126th prediction made from his burrow in Gobbler's Knob in Punxsutawney, Pennsylvania. The groundhog legend goes back to the early Christians in Europe. The Romans brought the tradition to the Germans who used a hedgehog to predict the upcoming weather. Since Pennsylvania's earliest settlers were Germans they applied the ancient custom to groundhogs since there were so many in the state and they were similar to hedgehogs. The Groundhog Club is the Inner Circle who cares for and feeds Phil. The club's President is the one that Phil speaks his prediction to. The President is the only one who understands "Groundhogese" (which is the language Phil speaks), and he translates Phil's proclamation to the world! You can learn more about the Groundhog Day celebration in Pennsylvania, it's history, and much more by going to groundhog.org. With Valentine's Day just around the corner, it's a great time for children to learn about the holiday and build their literacy skills at the same time. 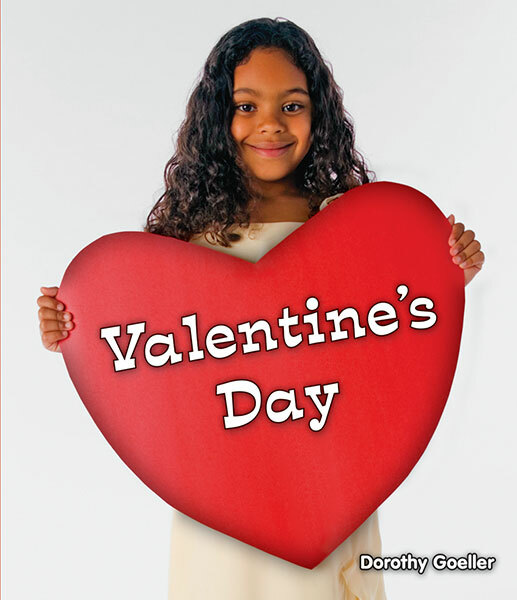 We have a great collection of Valentine's Day books for different ages and reading levels. Valentine's Day by Dorothy Goeller is an engaging and humorous book where new PreK-1 readers can find out just how many hearts are enough. Young readers will learn words like "Heart", and "Hearts" and simple constructions like "too many". Beautiful, full-color photographs and clear, easy-t0-read text make this book great for new readers. 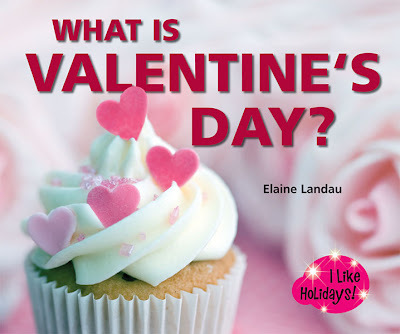 What is Valentine's Day by Elaine Landau guides K-3 readers through the images and traditions of Valentine's Day. Full-color photographs, a glossary, and an activity section make this book perfect for leisure reading or book reports. Finally, for readers in grades 3-4, or anyone else interested in crafts, Paper Crafts for Valentine's Day by Randel McGee delivers a unique and creative array of paper craft projects, all just for Valentine's day. 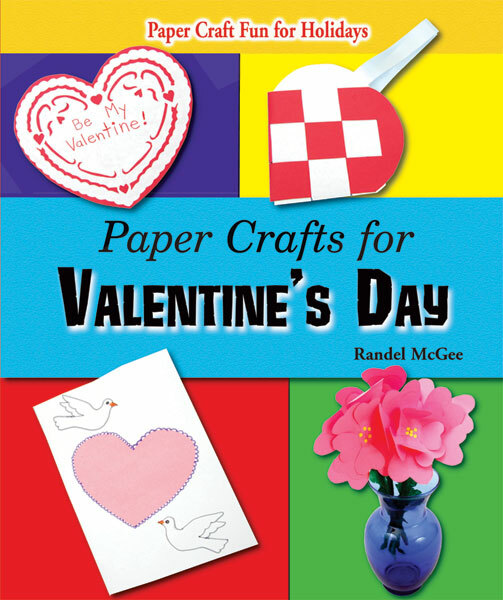 With easy-to-use templates for each craft and an in-depth descripton of the holiday, this book is a wonderful as a supplement to Valentine's Day activities or as an introduction to paper crafting!